Instant Dan TDM Hair- L'Oreal Colorista One Day Spray Turquoise Review. The Good... & the Bad. When I spied the new L'Oreal Colorista Spray range in Superdrug last week, I knew Smix would be up for trying the turquoise wash out spray to look like one of his favourite Youtubers DanTDM. Dan has dark blue, turquoise hair, and the spray I chose looked exactly like his on the can. Smix has very dark brown hair, so to have any other colour product show up would require pre-lightening, something most parents don't want to get into with natural kid hair. Sprays can be a good alternative, as they coat the dark hair strands rather than colour them, so it shows up better. I was really impressed with the L'Oreal spray. It looked more like the strands were actually dyed rather than coated. The colour went on pretty easily. Just cover your clothes with a towel and use the precision spray. The shade wasn't quite what we expected, and was more royal blue than the Dan TDM turquoise, but Smix was still impressed and happy with the result. It was easy to apply to short hair, but may be trickier to get coverage on longer girl's hair. Any mess on the skin was simple to remove with a baby wipe. As you can see the coverage and result is pretty impressive. 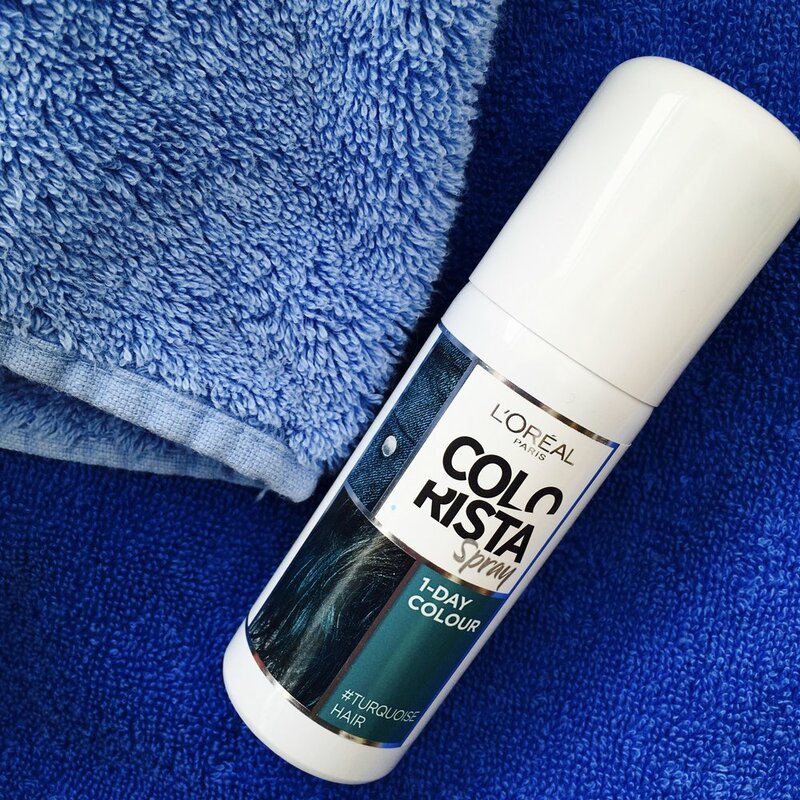 Colorista spray is definitely the next generation of wash out sprays. It looks more like a proper dye job and less like a fancy dress after thought. Superdrug currently has the range on offer for £6, which is a good price for the results. UPDATE: I said I would add in how the dye lasted and the mess potential of sleeping with it on. I wish I wasn't having to share the truth about how it went, cause it's not good news, but at least if you read this review you'll be warned and be prepared to wash it out that night and not let yourself or your kid sleep on it like we did. Smix washed his hair on Sunday morning and I sprayed the Colorista Turquoise One Day Spray onto his freshly shampooed and dried hair, giving a great result. Monday morning his friend Connie was coming round to play and we didn't have time to get him showered to clean up what disaster we were faced with when he woke up. His hair looked like he had been dragged through a hedge backwards. The texture with the spray coating the strands is crispy and tricky to comb through into shape. While sweating during his sleep, a lot of blue had transferred onto his pillow and duvet. Now this wasn't the end of the world. The transfer onto the bed cloths was slight and looks like it'll be easy to get off, I'll just be careful to wash it separately from clothing. The bad part was Smix's face, neck and hands. He had turned a weird green grey which now wouldn't shift with the baby wipes. We had used a baby wipe to clean up any spray that got on his forehead during application, but this ingrained stain wouldn't move at all. To clean the hands we just had him wash the colour off in the sink using shampoo instead of soap, which worked a treat. So I then used a little bit of shampoo on a baby wipe to clean his face and neck. To be honest the result wasn't great, so I was glad he and a Connie were playing indoors that day! That night he had a shower but even after two instensive shampoos with Pantene, the hair was still a strange shade and texture. It's now Thursday and he's had two showers since the Colorista one day spray and his hair still isn't back to normal. So my advice would be if you use the one day spray, try to wash it off before you go to bed. L'Oreal One Day Spray is well priced and does a decent job, but it's messy and hard to get off. The Turquoise wasn't quite the shade we hoped. During the summer we plan on using Colorista Washout, maybe with a Sun-In type pre-lightener, but not a bleach. Age nine is still too young for bleaching hair I think, but if he wants some blue hair, who am I to judge? I've had my hair every colour of the rainbow over the years. UPDATE: At Easter we went a step further and tried the L'Oreal Colorista Washout Vivid Turquoise which is a semi-permanent dye made for brunette hair. It's part of the range pictured above and should last 7-15 washes. 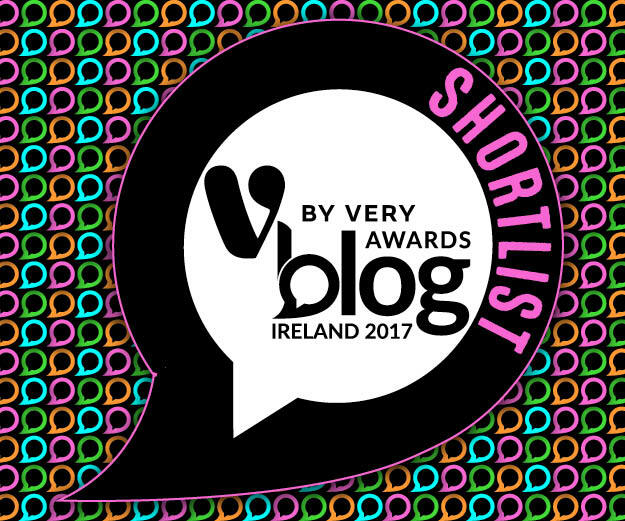 Read our review (it was a bit of a fail) then if you need to, read our review of how to remove blue or green dye from your hair in one wash- yes that's how badly it went! There will be another update when we dye his hair properly with pre-lightening at the end of June, but after that disaster I'm contemplating visiting my own hairdresser to get her to do it!